Nurturing is to encourage positive development and growth. Opportunities are good things that come your way. Values are good principles, ideals, and standards that you believe in and live by. Accountability is being responsible for your actions and the choices you make. Each student is given the opportunity to earn prizes, awards, and a Certification of Achievement award from the N.O.V.A. 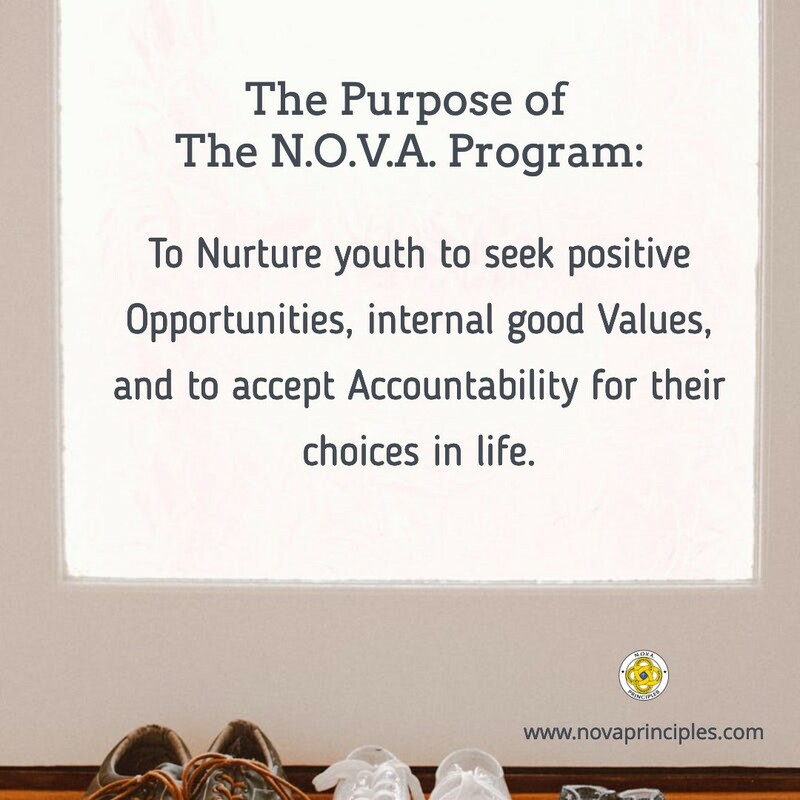 program if they agree to abide by the N.O.V.A. 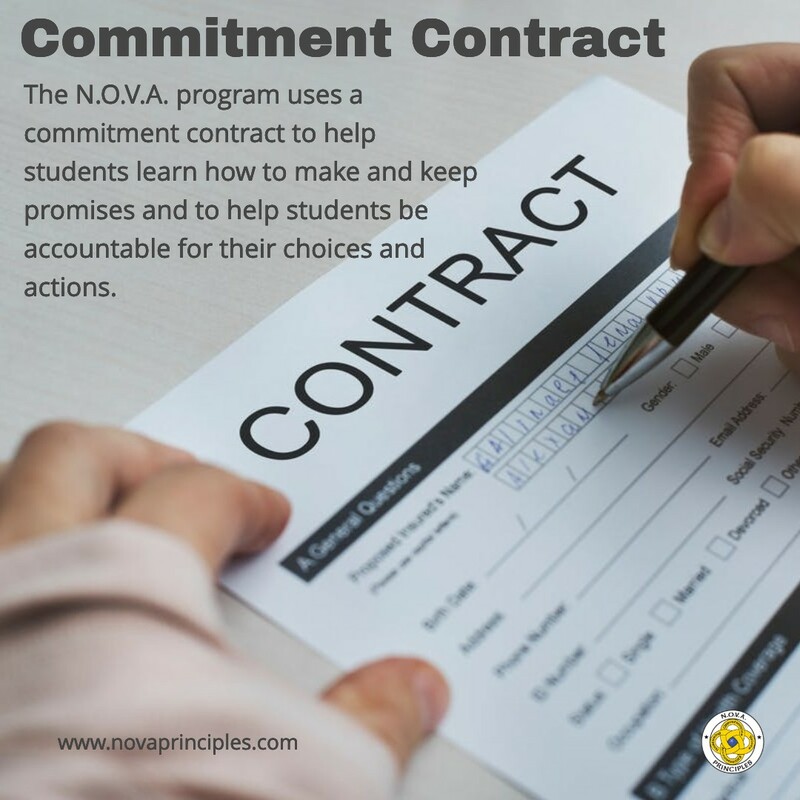 Commitment Contract which is: Have a positive attitude about the N.O.V.A. program; Show respect and good behavior in class; No illegal drug use; Obey the law; Have good attendance; and Write a personal constitution (see lesson 12). Students receive a N.O.V.A. folder if they promise to respect and take good care of it. The folder is used to put lesson plan material and assignments in it for safe keeping. The N.O.V.A. 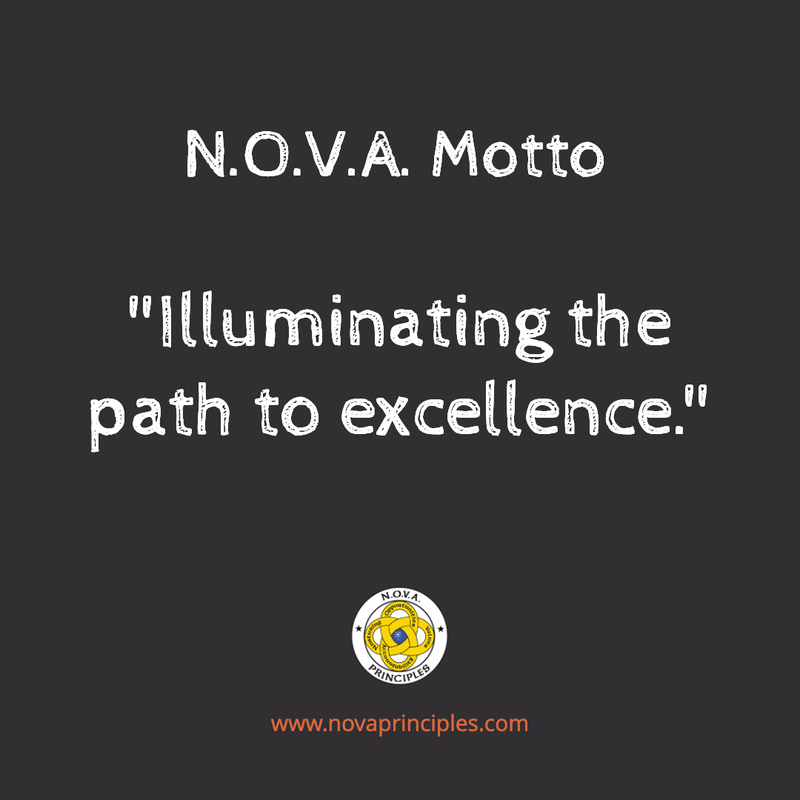 motto is taught: “Illuminating the path to excellence.” The purpose of the N.O.V.A. program is to show students how to get to their path of excellence and become the most successful person they can be. Students participate in an active learning lesson activity that teaches how important it is to gain knowledge and a good education to become happy, independent and successful. The N.O.V.A. mascot (a Wolf) is introduced. 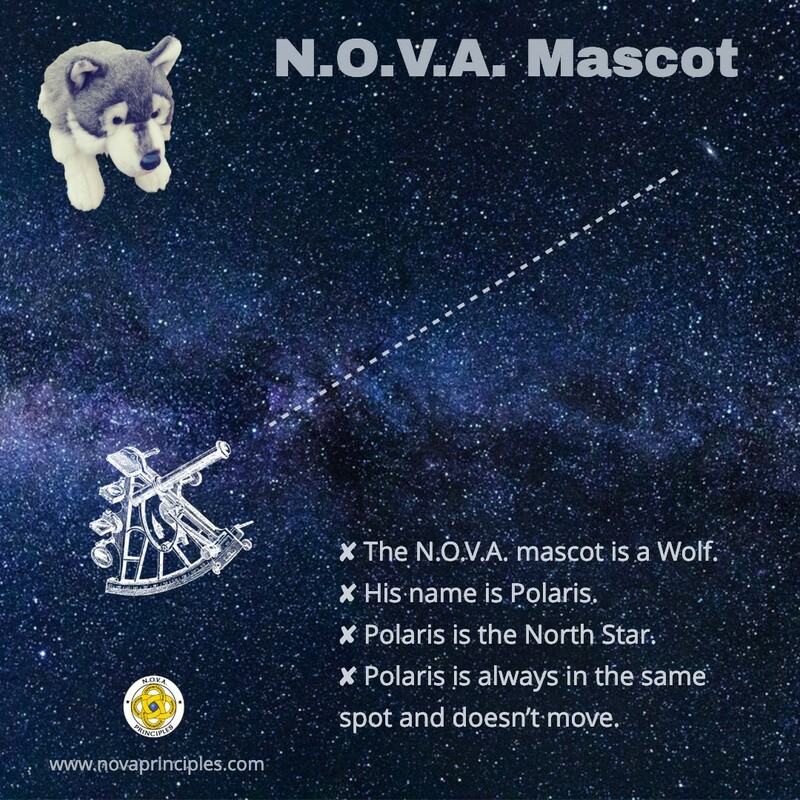 The name of the mascot is “Polaris”, the North Star. 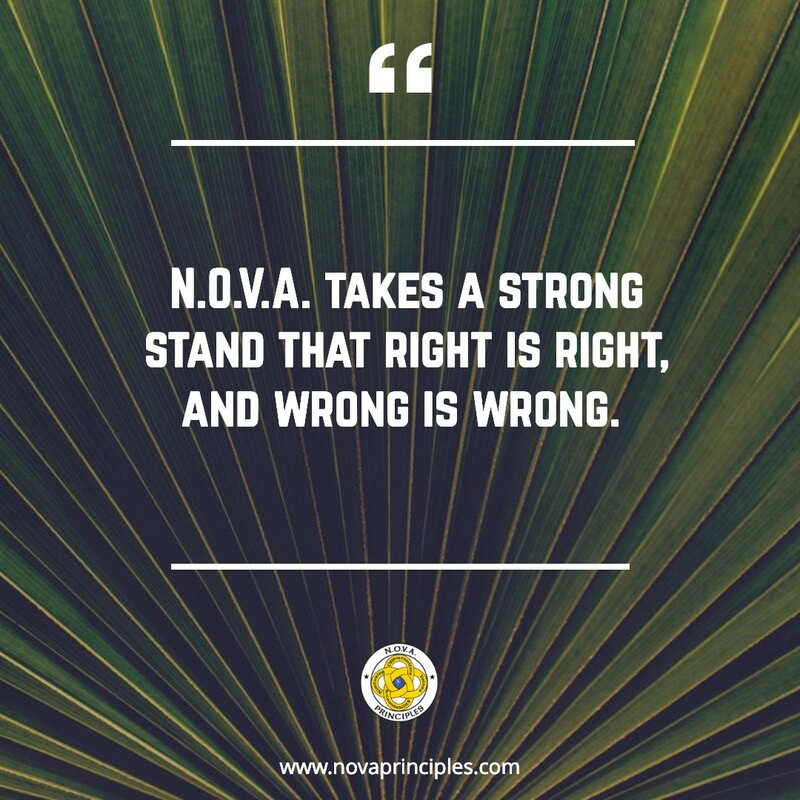 Students are taught that they can look towards the N.O.V.A. Principles program and Polaris the mascot, to be a guiding force in their life that stands for everything that is good and to illuminate their path to excellence. 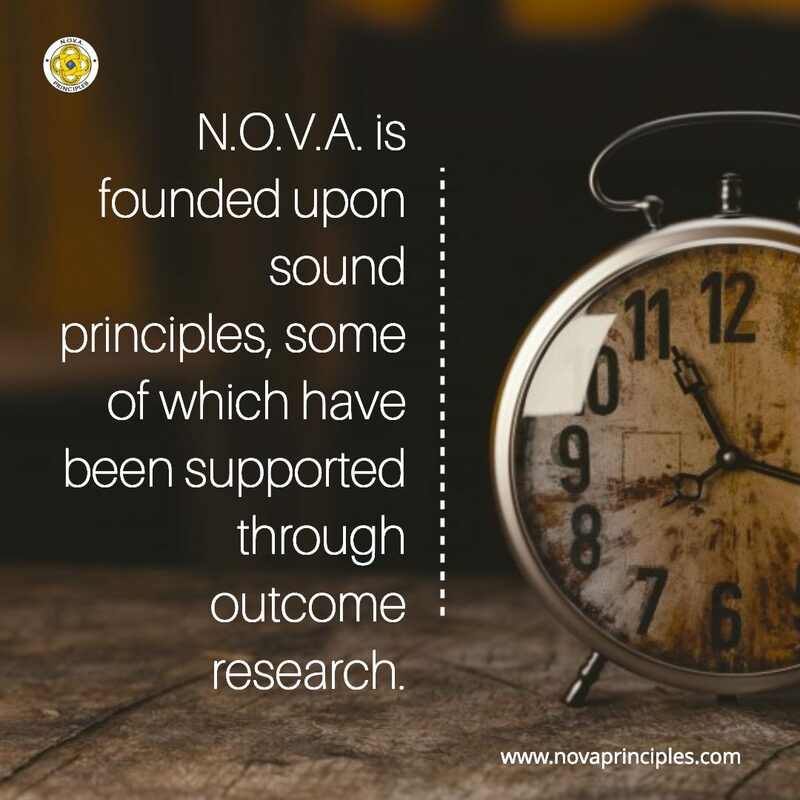 The meaning of a N.O.V.A. Lone Wolf is explained. A N.O.V.A. Lone Wolf is a person who has the strength not to follow the crowd, or their “pack” of friends when they choose to do wrong. Students are shown N.O.V.A. awards that they can earn if they work hard and complete the N.O.V.A. assignments that will be given out later on in the program. Please take the time to go over these lesson points with your child, and add your own insights as well. Next week, you will receive the next N.O.V.A. lesson summary. Thank you for being part of the N.O.V.A. Parent Pack!